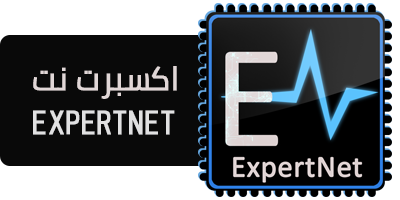 برنامج NetDrive برنامج رائع جداً لإدارة وقوي لإدارة كافة حساباتك على مواقع التخزين السحابي ومواقع التخزين والرفع والتحميل وإدارة ملفاتك والرفع للمواقع وإدارة حسابك. كما يمكنك إدارة حسابك ftp والعديد من الميزات الرائعة. NetDrive is a straightforward Windows application that allows users to connect remote storage, including FTP servers, as a local drive and access it straight from Windows Explorer. Extremely useful if you work with remote storage environments on a regular basis, It’s actually pretty easy to use, mostly thanks to a reduced number of configuration options and intuitive features. It allows users to quickly upload files to a FTP server just by dragging and dropping files in the configured drive, providing excellent transfer speed and superior performance. • Managing your favorite cloud storage services could not be easier. Simply provide login information, and all your cloud storage will automatically appear as a virtual drive every time you start your PC. • You can connect to NAS servers by WebDAV or FTP. Many NAS vendors recommend NetDrive as a standard way to mount their NAS products. Share your NAS easily with anyone as virtual drive. • NetDrive supports secure file transfer by SFTP (SSH File Transfer protocol) . Unlike standard File Transfer Protocol (FTP), SFTP encrypt both commands and data, preventing passwords and sensitive information from being transmitted in clear text over a network.